Climate ribbon making table at the Opening Plenary session of the Climate Convergence in NYC on Friday, September 19th. 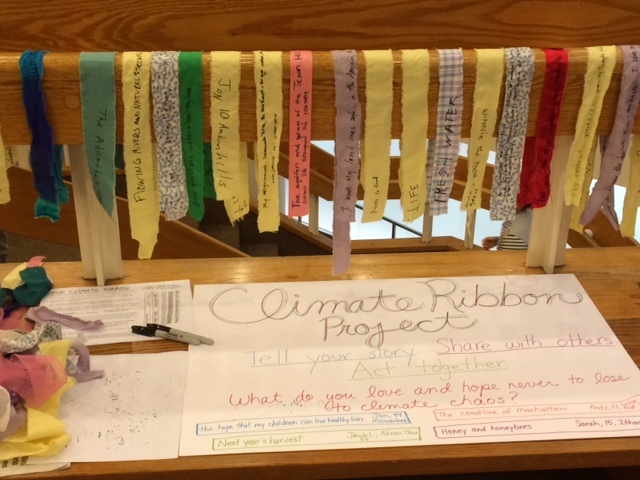 Local activists gather ribbons at the Green Fest in Philadelphia. Ribbon crafting in Oakland, California.